Their debut single There’s A Honey, an infectious three-minute offering depicting a crumbling relationship, was produced in the safe hands of pop stalwarts The 1975, an achievement that would set any fellow indie band’s eyes alight with envy. “It was just like working with any other producer strangely, they’re awesome with how they help the artist they’re working for. Sometimes, producers get on the wrong end of artists and try to steer them into something that they aren’t, but they were great. They always understood us.” Mr Healy also got his paws all over the direction of their latest single Television Romance’s music video and hoiked the band on the North American stretch of their tour – seems like somebody has a big fan. With the UK and European tour already underway and a North American one in the pipeline, what else can we expect from the impressive upcomers? “October for new music is the plan! We’re currently recording an EP, and we plan to release some of it very soon!” Keep your ears peeled, as it’s bound to make a splash. 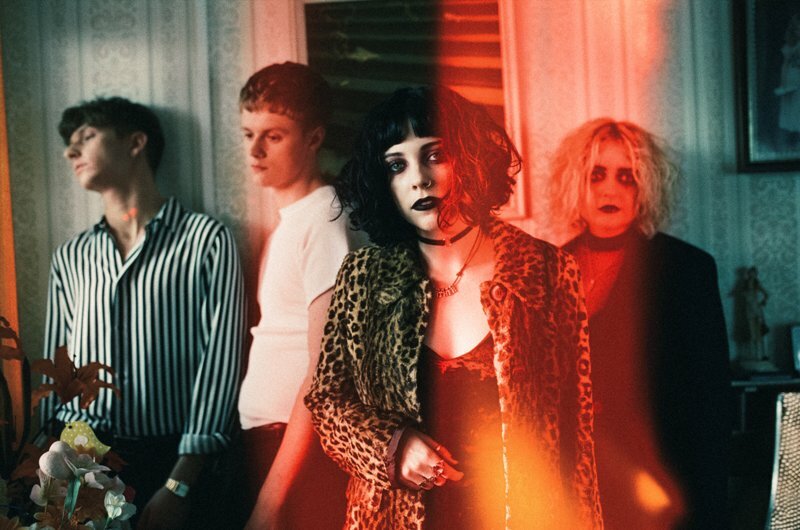 Pale Waves play Northumbria University Student’s Union on Saturday 21st October.